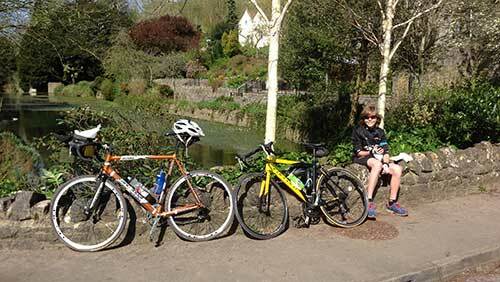 At the start of the Easter holiday (April 2014), I’d suggested to Louis (age 13) that we cycle around Cheddar Gorge. We knew that there’d be some hills involved, but were suprised at just how much climbing we ended up doing on a ride that proved to be really pleasant. I found the outline of a possible route in the Ordnance Survey Cycle Tours book covering Avon, Somerset and Wiltshire – Unfortunately this book seems to be out of print. We chose to park in the village of East Harptree, but it’s worth noting that there’s not a great deal of parking in the village and with hindsight a better place would probably have been one of the Forestry Commission car parks that we passed en route near Stockhill. Once you have your bearings the route is fairly easy to follow along rolling lanes with little traffic on the run into the top of the gorge. We got lost at one point and ended up on closed road that ran into the back of a farm, but it cut the corner off of the route and kept us clear of part of a busy road, and the road bikes coped well with the loose trail surface (almost cyclocross). After the farm we had a short stretch of fairly busy A road, but then we turned off and rolled towards the gorge. I’m sure that I must have been to the gorge before (and Louis had been on a school trip a couple of years ago), but the landscape as you drop into and through the gorge is staggering. 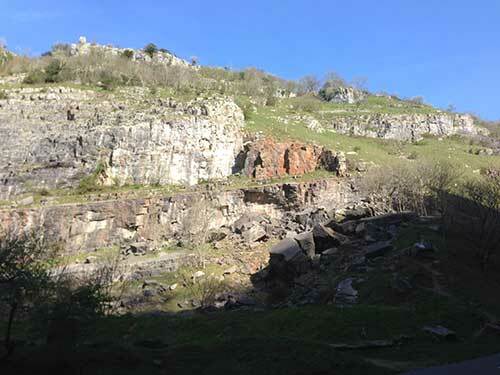 There are sheer cliffs and rocky outcrops, plus plenty of lay-bys to pull in and take it all in. You could rocket down the gorge, but that would probably miss the point. The town of Cheddar make a sensible place to take a breather… It will be rammed with people and cars, but there’s a pond on the ‘downhill’ side of the main tourist drag where you can get some sunshine and a coffee from one of the many cafes. After the touristy part of Cheddar unfortunately you’re then caught up in busy roads for a while. There is a cycle track that heads out south of Cheddar, but we wanted to cut off part of the Ordnance Survey route so tracked through the village before heading up the hill towards Shipham. That is a testing hill that takes two parts. The second bit is past a quarry and unfortunately the lane it follows seems to be a bit of a rat run for lorries leaving the quarry. Aside from this bit of traffic, the rest of the journey was fine – you’ll need a decent map and ideally be reasonably competent at reading it. 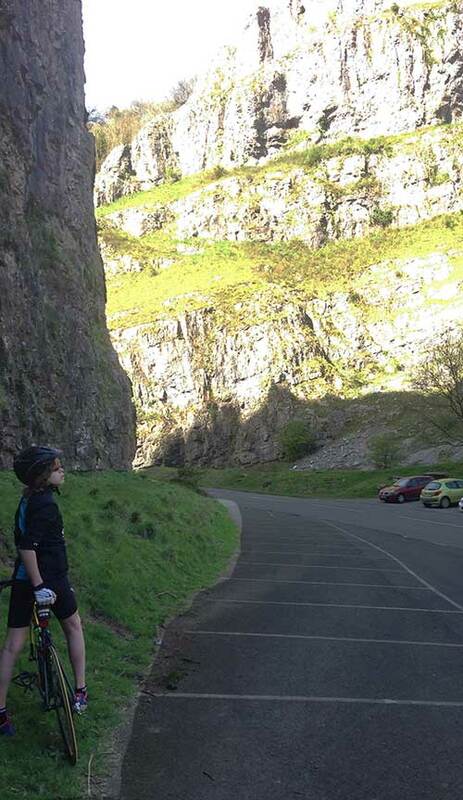 Although the thought of Cheddar Gorge is enough to make many cyclists head in the opposite direction, this ride is not as intimidating as you’d imagine. 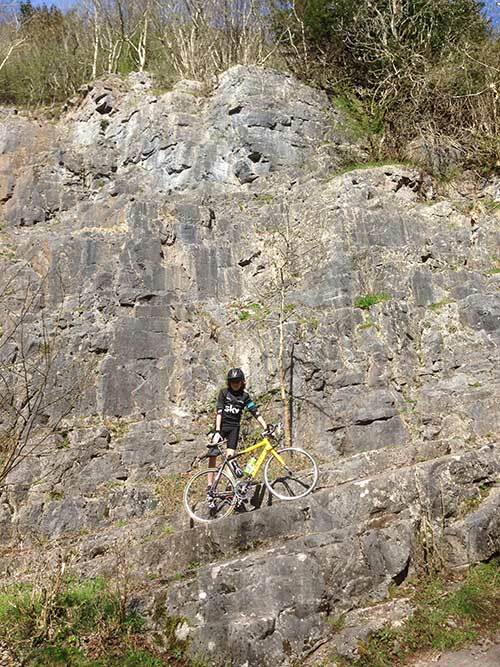 The rolling nature of the scenery does mean that you gain a lot of height over the ride, but apart from the drag up to Shipham, which is long rather than cliff-like, there’s nothing that an enthusiastic cyclist couldn’t manage.